In the fourth of a five-part series on players to have made an early mark in 2017/18, Adrian Clarke profiles Tottenham Hotspur's young central midfielder. 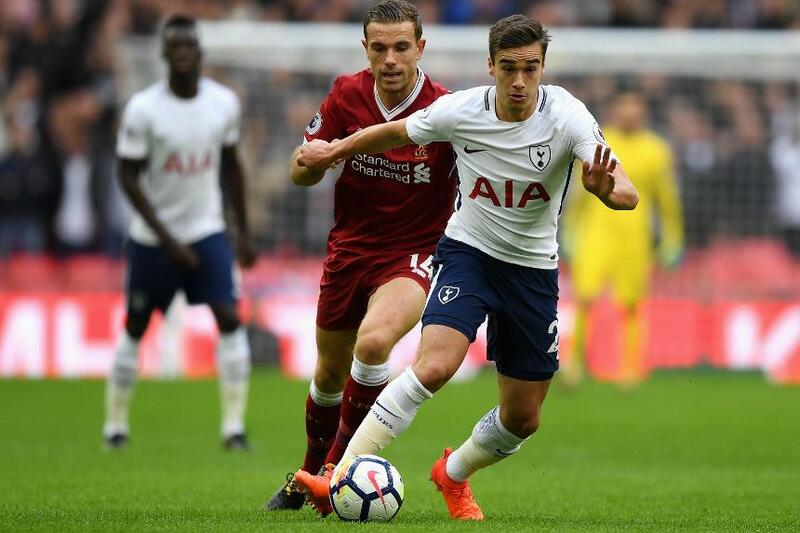 With every 90 minutes Harry Winks gets under his belt, he looks an increasingly accomplished footballer. Displaying maturity, determination, nimble feet and a terrific football brain, it is clear the Spurs academy graduate has a huge role to play this season. Physically, he offers a different skill set to his main rivals in the side, and that is important. Victor Wanyama, Eric Dier and Mousa Dembele are all tall, muscular midfielders. But up against smaller opponents they can look cumbersome on the turn, or when reacting to sharp one-twos. Winks, who has a much lower centre of gravity and good pace over shorter distances, handles those situations better. Without the ball the 21-year-old is a real terrier in the Mauricio Pochettino mould. Buzzing around the middle third, his high-tempo pressing consistently forces mistakes. During the recent 4-1 victory over Liverpool he closed down fabulously well, reclaiming possession 16 times. Tellingly, most of those turnovers occurred inside Liverpool’s half, just as his manager would have wanted. On the ball Winks is blessed with composure. Happy to receive passes in tight areas, his awareness of the space around him belies his relative inexperience. Playing with his head up, he sees his next pass before receiving the ball. This makes him adept at playing one and two-touch football, which keeps the flow of Spurs' moves going at a faster tempo. Tactically it has made a discernible difference in recent weeks. Inside the final third he has yet to become a prolific chance creator – this season he has created just five goal opportunities – but his role as a neat and tidy midfield facilitator is clearly defined. Comfortable sitting in the middle of a three flanked by Christian Eriksen and Dele Alli, or partnering somebody like Dier, he offers verve and security, on and off the ball. His impressive 85% pass accuracy inside the opposition half outlines the manner in which he keeps the team ticking over. Should Winks maintain this form, Pochettino’s greatest dilemma for the rest of this season will be whom to play alongside him. He is now first choice, and deservedly so.